Even though its premiere is still two months away, BoxOfficePro has put out its first prediction for Wonder Woman's opening weekend. According to them, the first female-led superhero movie will have an impressive opening but fall far short of the previous installments in the DC Extended Universe. BoxOfficePro is forecasting a 3-day opening weekend of $83M at the North American box office and a domestic total of $225M. When compared against other female-driven action movies, an $83 million debut would be worthy of notice; however, it would be the fourth-best launch behind the other DCEU films: Batman v Superman: Dawn of Justice ($166M), Suicide Squad ($133.6M), and Man of Steel ($116.6M). As for a $225M domestic total, it would be $66M short of what Man of Steel did four years, and $100M south of Batman v Superman and Suicide Squad's stateside totals. Of course, there is plenty of time for forecast to be raised. For that to happen, though, Wonder Woman will have to reverse the downward trend DCEU films have had with critics. As of right now, Man of Steel has the best Rotten Tomatoes' score with a lackluster 55% rating, and both Batman v Superman and Suicide Squad have ratings of 27% and 25%, respectively. 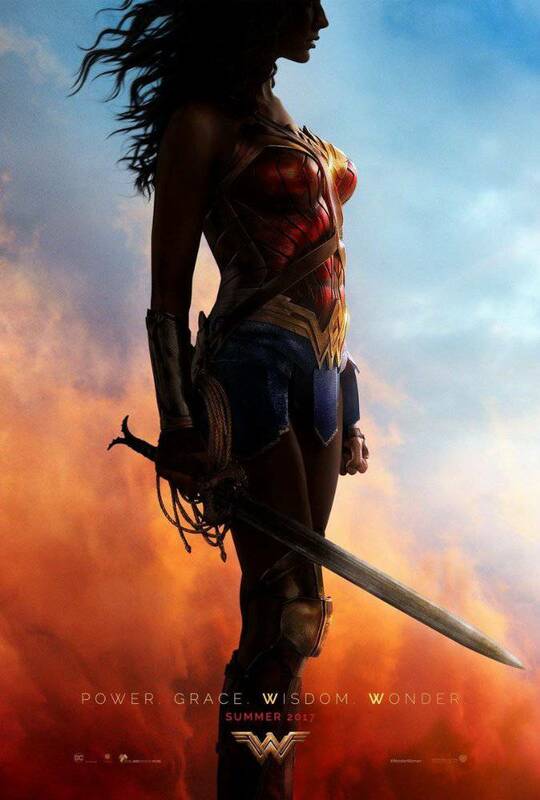 It will be extremely for Wonder Woman to come bursting out of the gate and receive strong word-of-mouth as it will face some stiff competition. Currently, it scheduled to open between Disney's Pirates of the Caribbean: Dead Men Tell No Tales and Tom Cruise's reboot of The Mummy. Fingers (and bracelets) crossed! Joining Gadot in the international cast are Chris Pine, Connie Nielsen, Robin Wright, David Thewlis, Danny Huston, Elena Anaya, Ewen Bremner and Saïd Taghmaoui. Patty Jenkins directs the film from a screenplay by Allan Heinberg and Geoff Johns, story by Zack Snyder and Allan Heinberg, based on characters from DC Entertainment. Wonder Woman was created by William Moulton Marston. The film is produced by Charles Roven, Zack Snyder, Deborah Snyder and Richard Suckle, with Rebecca Roven, Stephen Jones, Wesley Coller and Geoff Johns serving as executive producers. Warner Bros. Pictures presents, in association with RatPac-Dune Entertainment, an Atlas Entertainment/Cruel and Unusual production, Wonder Woman. The film will be released on June 2, 2017.